Last weekend I did my third ridge runner weekend of the season. It was a hot and steamy one! 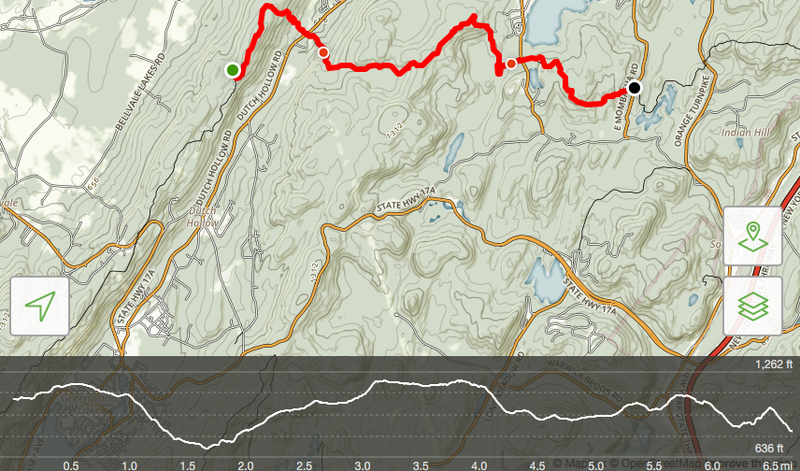 It was also during the thru hiker bubble and I met about 40 thru hikers – both north and southbound. 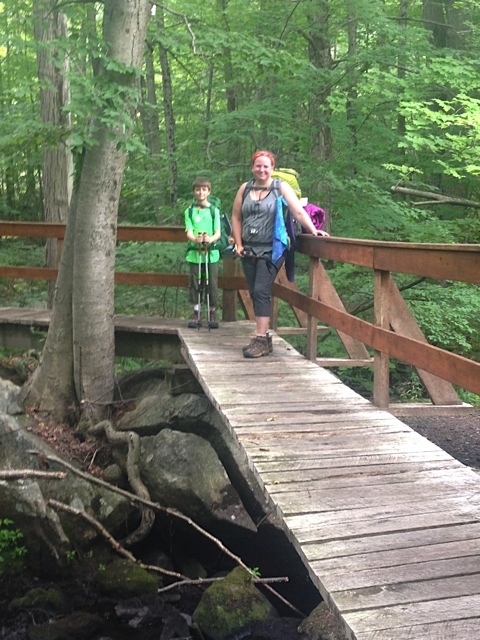 Two of them were under 10 and hiking the whole trail with their dad. They likely did many more miles than me that day! I met several section hikers as well as a few day hikers. 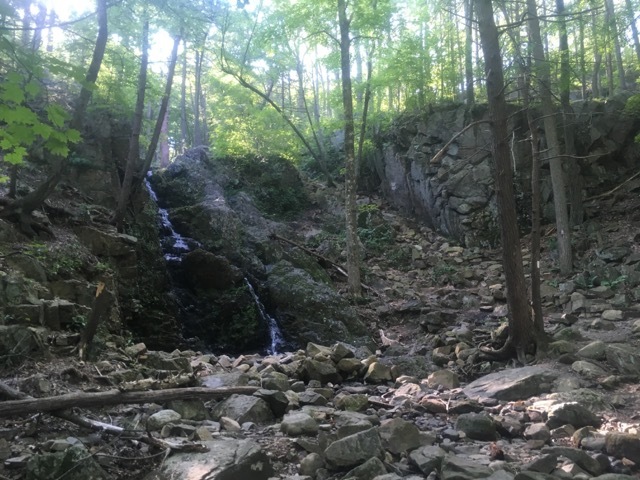 I got to do the climbs to St John’s Ledges and Caleb’s Peak TWICE – once up and once down. I just missed the heavy rains Saturday morning and the only rain I had was overnight. Though to be honest I wouldn’t have minded a little as it was so hot and steamy. 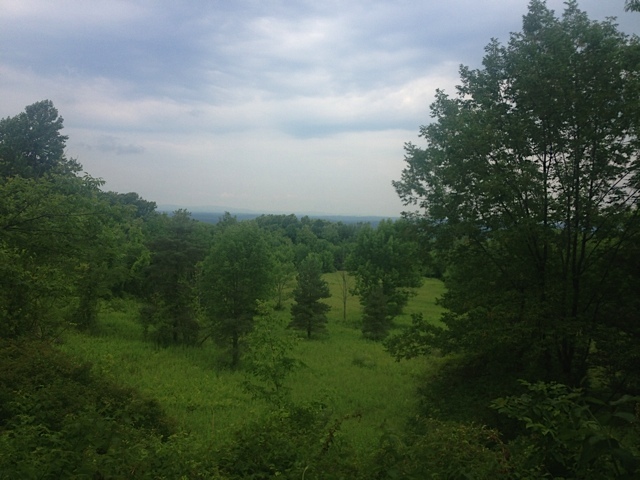 However I did NOT want any rain while doing the climb up or down the ledges! 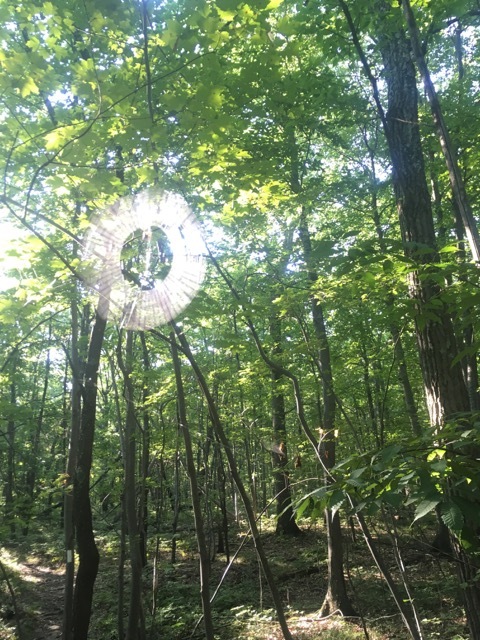 I got thanked by several hikers for my work which always feels good! 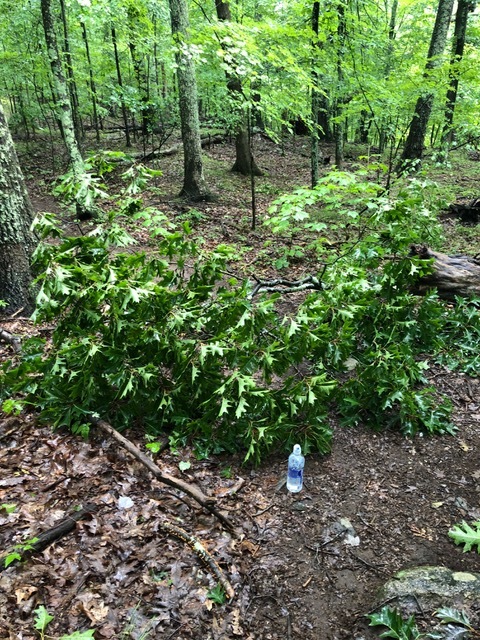 I also found a bunch of thru hikers stealth camping, one even right next to the shelter site which I figured they didn’t know was 10 yards up the trail! Those that I did speak to about it were very apologetic and explained they were pushing miles and didn’t want to go down the ledges in the dark as it was already after 11pm when they set up. We have very specific rules about camping in designated areas, and plenty of campsites on our stretch. This is because of the narrow corridor in our state. If you’re not in a designated site you may just be camping on someone’s private property. And it becomes a bigger issue if you’re used to breaking rules in that you may break others which could lead to damage to or littering on private property. On the upside, it’s also why our section is so beautiful and clean. I cut two blow-downs, one which was very difficult as it was above me so it took a lot of upper body strength (not my strongest area) to cut. 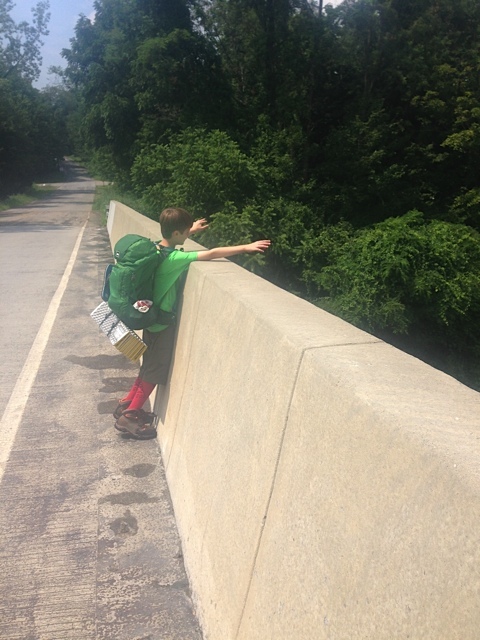 I hiked with one of the thrus for a while and at his pace covered 2.5 miles in about 40 minutes! I had to eventually take a break as I don’t quite have thru hiker legs. But we leapfrogged a few times and I did see him at the shelter taking a break when I arrived to set up my camp for the night. 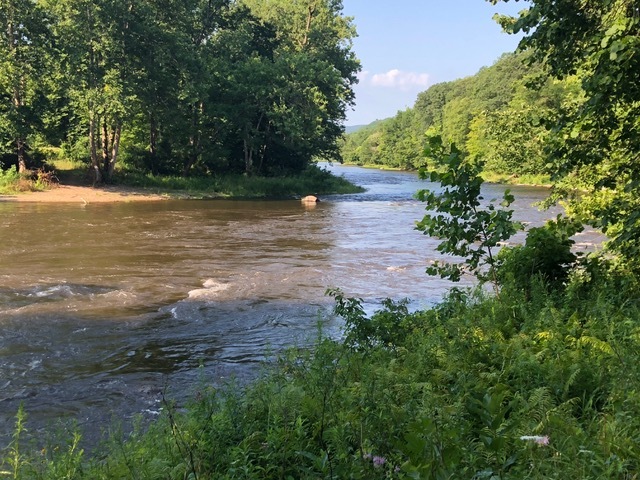 The water sources were raging from all the recent rain. But with the current heatwave I’m not sure that will last. 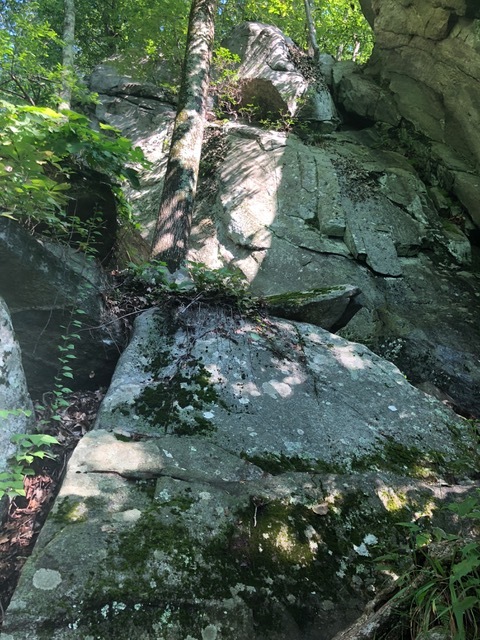 There was trail magic when I arrived at the trail head Sunday and while I never drink sodas anymore, an ice cold Coke sure hit the spot after 7+ steamy miles including the big climbs followed by several smaller ones to get back to my car. 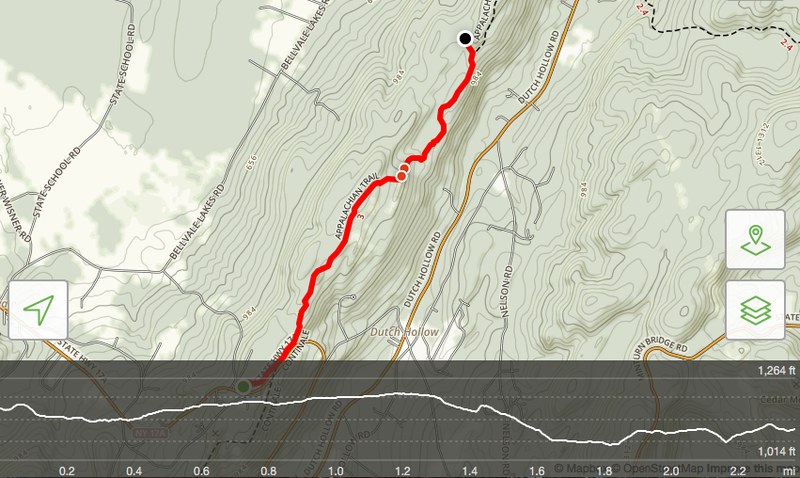 About 1,440ft of vertical over 4 miles, with 1,000 of it in the first 1.2 miles! I did that each day but in reverse on this day. I will be back out again mid-September. 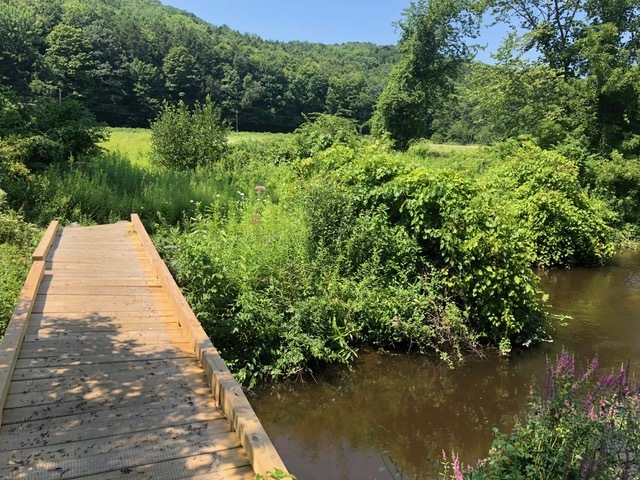 In the meantime, Fielden Stream and I are planning to finish the last 13.5 miles of Massachusetts over the highest peaks in the state. We look forward to a lunch mid-hike at the Bascom lodge, and are going to take our time as these will be the highest climbs and elevations for us yet to date together. This frog jumped on my hand during the climb! 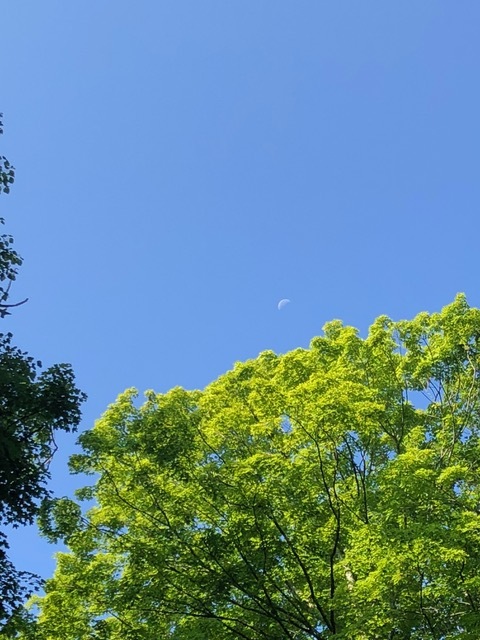 Morning moon over the A.T. I am trying a new format here. I’m going to make the entries more brief and to the point going forward with exception of an occasional longer piece. It’s getting tougher to find the time to write in such detail so I promise to keep providing nice images and a summary of each hike without writing a book! Lets start with last weekend. 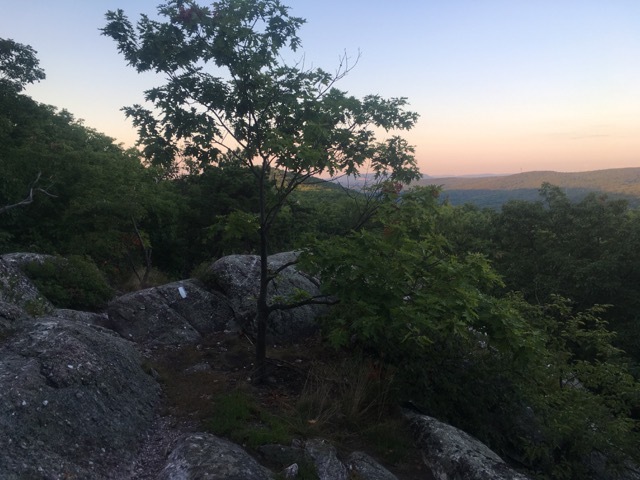 It was my second Memorial Day weekend up on the Riga plateau in the Northwest corner of Connecticut along the Appalachian Trail. 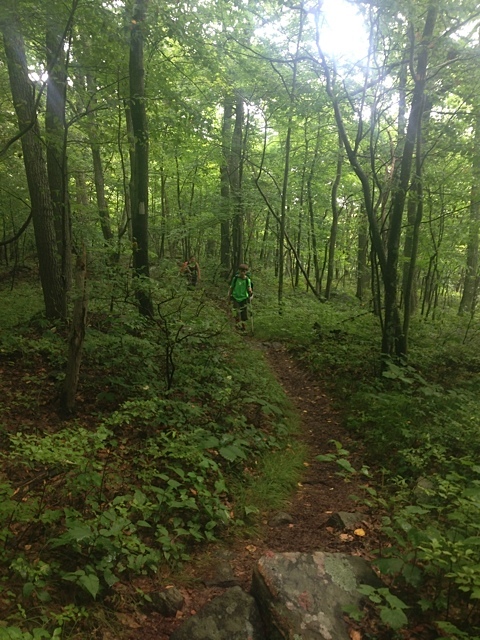 And my first as an official Appalachian Trail Weekend Ridgerunner. The role is what I have been doing as a volunteer but with pay and some other nice perks. The job is for 5-6 weekends during the peak summer months. Fortunately, it was not 100 degrees this Memorial Day weekend. 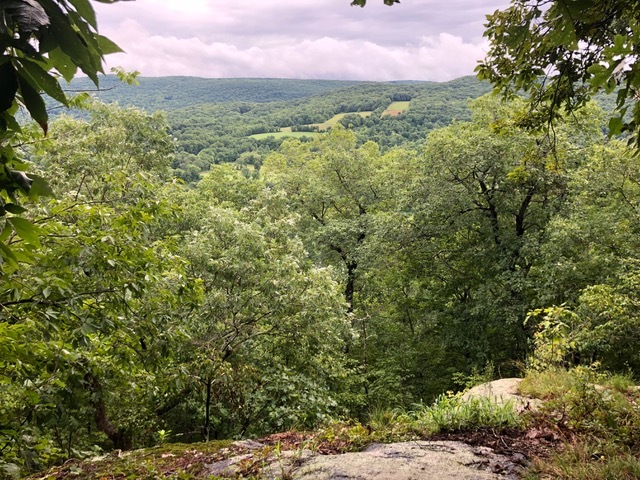 I stopped up at Kellogg Conservation Center in South Egremont, Massachusetts to pick up my uniform and rain gear and then headed back down to Salisbury. Shortly after you head north out of Salisbury on the trail, you hit the 1,500 mile marker. We have a newish sign there and it sure adds to the excitement. 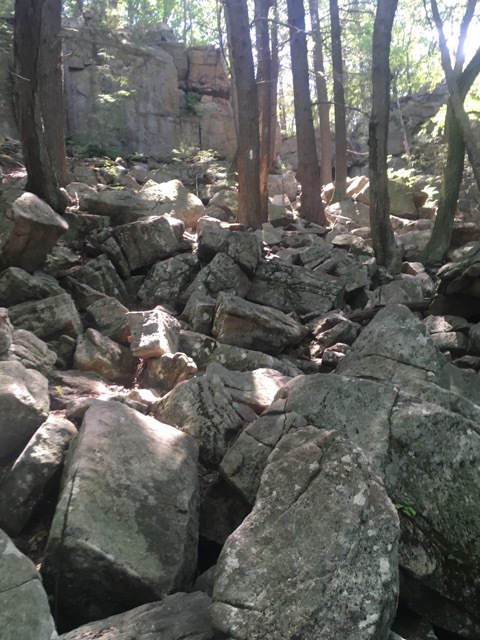 The trail was packed with hikers. I met over 80 on day 1 between Rt 41 in Salisbury and the summit of Bear. That was Just the day hikers. 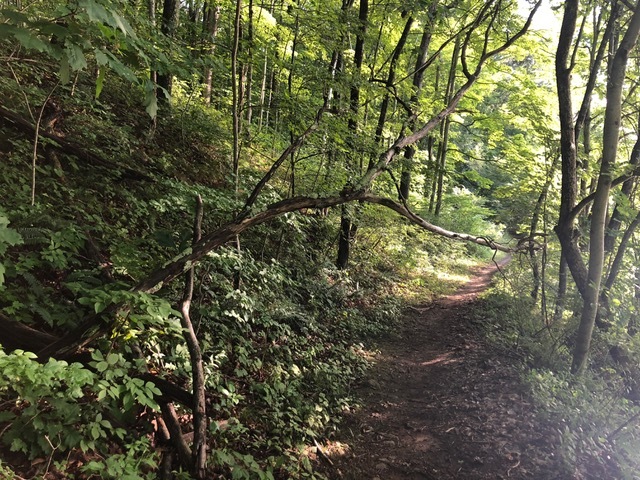 Many take the Undermountain trail from Rt. 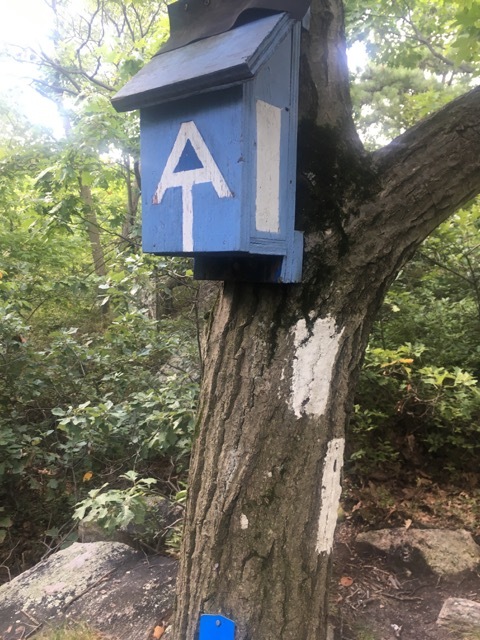 41 trailhead near the Massachusetts border. 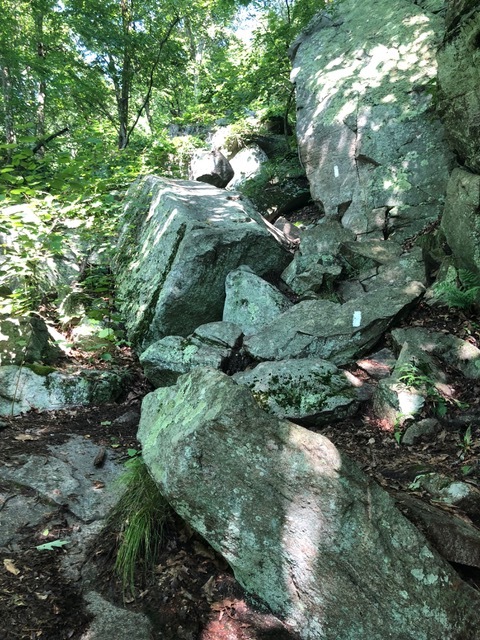 This 1.9-mile trail meets the AT at Riga Junction about 1,000 ft higher. That lot was full and I wanted to spend more time on the A.T. vs side trails so I kept driving down to the lot in town. There were about 20 Backpackers on Day 1. Most were NOBO (Northbound) whereas on Day 2 there were a lot more SOBOs (southbounders). I met a marine on the summit on day 1 among the crowds and thanked him for his service. On top I also met the caretaker of our Northwest Cabin. He’s summited Bear over 300 times now as he lives nearby and is at the cabin each week. It’s at the bottom of Bear near Sages Ravine and you can rent it with your family. I also met a lot of locals who do the hike often as well, even bringing up their lapdogs. From a perch on the summit tower, I educated everyone on the different mountains in the views as well as about the stone tower itself and how Mt. Frissell’s shoulder is actually higher than Bear. Though Bear IS the highest SUMMIT in the state. 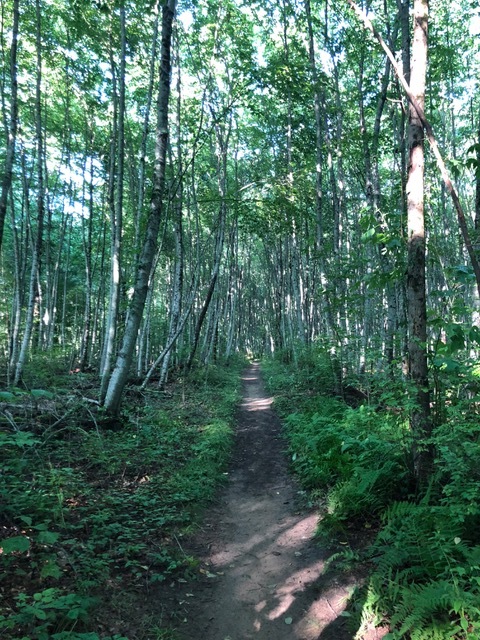 We talked about how if Bigfoot can leave no trace, so can you. The kids loved this, but I confess I saw it on the internet and can’t take credit for coming up with it! It’s a fun and friendly way to breach the LNT subject without anyone feeling like I’m lecturing them! I also found the elusive pink Lady Slipper. They love it on Lions head. The only other place I’ve seen them is near Hatch Brook down by Pine Knob Loop. The other prominent flower was pink Honeysuckle which was blooming everywhere. Usually it’s the Mountain Laurel going wild up here. Their time is coming soon. I met some great section hikers when I got to the beautiful campsite and shelter at Riga where I was staying for the night. We talked at dinner and played some fun charades games before everyone went to bed. There was another group too, and wow did their dinner smell like it tasted WAY better than mine. 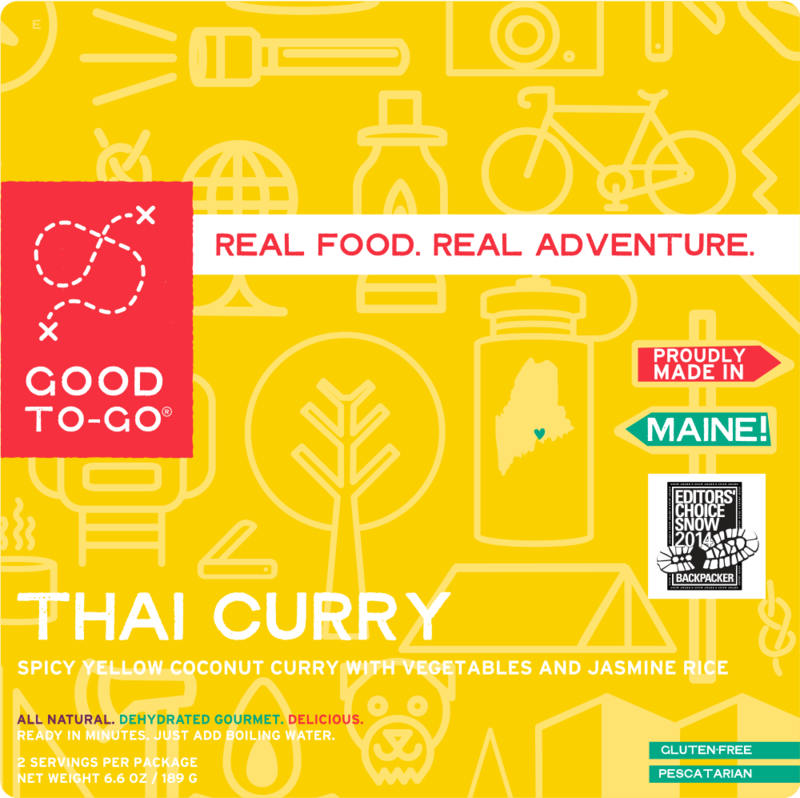 I was trying some new more organic lentil meal and i forgot to add my Tabasco and salt and pepper. Lesson learned. I still enjoyed a great view for dinner though. The view (and the sunrise) are famous at Riga. 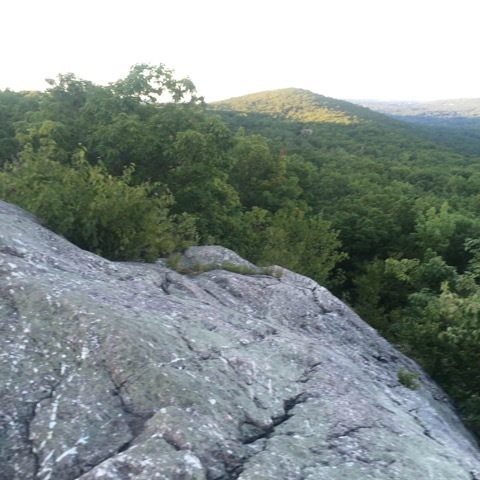 It’s right on the edge of the cliff and is clear cut to show the view. Gripes of the day: 1 ) campers leaving full sized pillows, and a bunch of trash and food they didn’t want to pack out in the bear box. That was about 10 lbs for me to pack out the next day, It was not appreciated. Pack it in, pack it out. 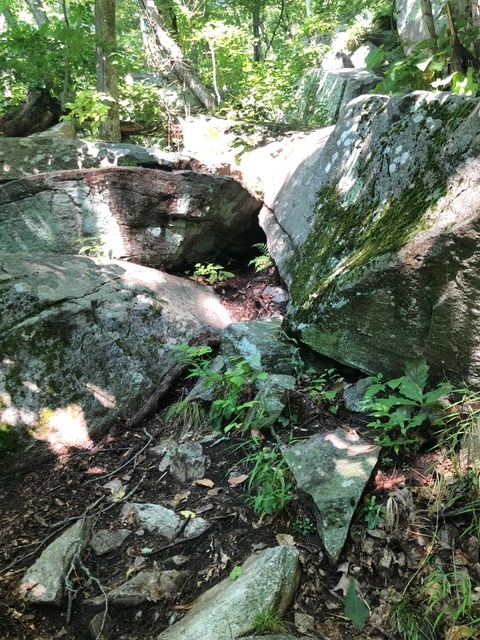 It was nice to see another hiker (not a maintainer) rant about it in the shelter register because this way other hikers learn they are being disrespectful from their own peers. 2) Someone made a fire ring right under the ‘no fires’ sign again. Who are these people? I keep seeing this. Someone is out to make a point. So I cleared it. There was a porcupine chewing on the Privy walls all night. It was about 50 yards from my tent so you couldn’t NOT hear it. It didn’t bother me that much though. I caught the famous sunrise and woke up some of my new friends to watch it come up with me. Then enjoyed breakfast with the great view. My Backpackers Pantry Granola with Milk and Organic Blueberries and my Starbucks VIA with a few mini moos I took from my office kitchen hit the spot. 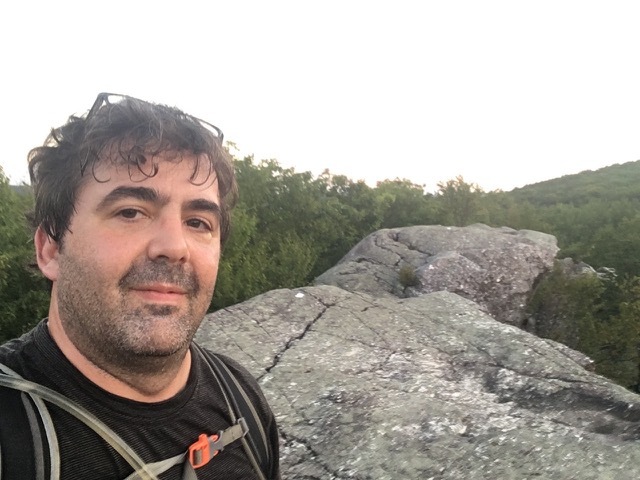 My friend Brian was training for a White Mountains hike in a few weeks so he hiked up to join me at Riga and hike with me for much of the day. We hiked back up to the summit of Bear together. 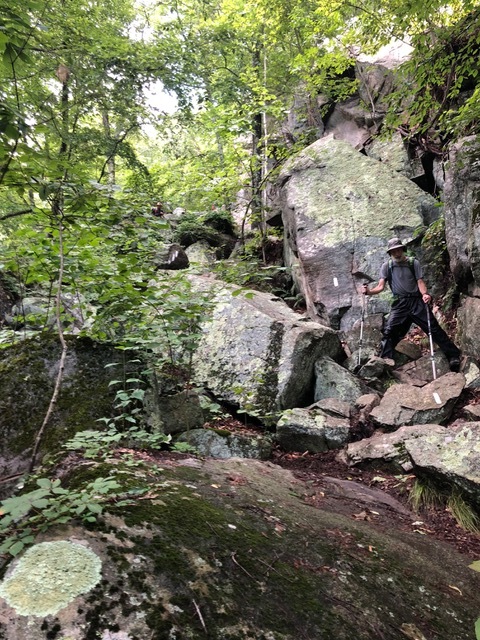 He met a woman in her 60’s from Tennessee who was doing a LASH (Long a** section hike). We saw her again when cleaning up remains of a fire at Brassie Brook shelter and had a nice chat with her. 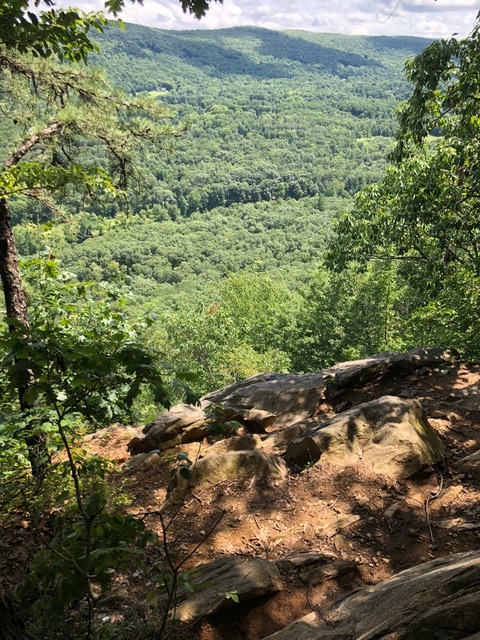 Along the way up, we saw a young couple packing up a camping spot right on the side of the trail and I asked them to please stick to designated campsites as we are reforesting there and that’s the rule either way in Connecticut. They had been tired last night and didn’t know there was a campsite 1/2 mile ahead! I then saw them again when at Brassie brook filling up my water and gave them a map and helped answer some other questions for which they thanked me. We would see them again on Bear and Lion’s head before the day was over. We met and hiked with some other of my new friends from the night before at Riga (the ones with the delicious smelling food!) and one of them was an entomologist. She taught me about some wildlife and plants as did Brian who is a tree expert. He showed me a lot of species I didn’t previously recognize. We also talked gear a lot, comparing and talking about our new gear upgrades and water/sleep and pack systems. Today was more overcast but still we encountered at least another 20 backpackers (most of these were southbound and a large group of them were wearing bug nets which was smart) . 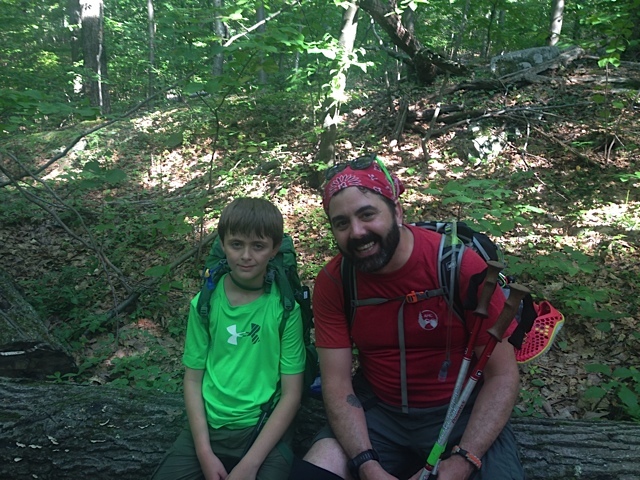 There were two thru-hikers including Captain Underpants, whose family was joining him for this section over the weekend. Most of the backpackers were section hiking this weekend. You can usually tell who are thru and who are section. There were about another 75 day hikers we met along the trail and on the summits of Bear and Lion’s head. We took in the views and a snack on Lion’s head after picking up the trash and the pillow from Riga so we could pack it out. (No point in carrying it up and down Bear so we came back for it). There were lots of families with small kids on Lion’s head. Some asked if they could drink the water and I told them not without filtering and offered them water but they had enough. We made it down to Rt 41 around 3:15 and Brian was then headed south to Limestone spring shelter for the night as he couldn’t overnight on Saturday. It was a great weekend. Not too hot, no rain ever showed during my shift, and I met a lot of great people and pushed my personal weekend mileage goals. 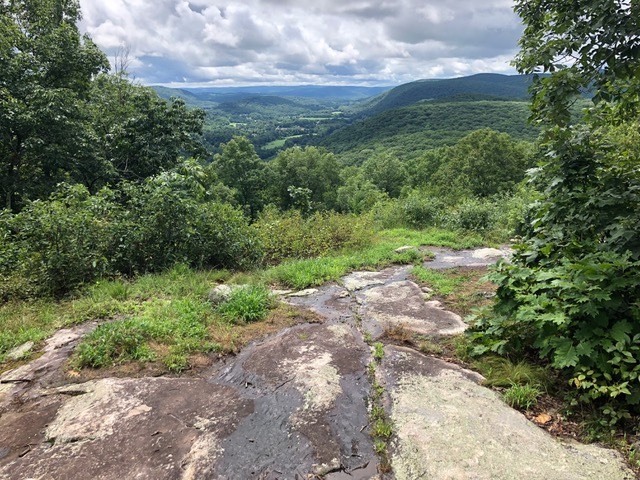 Last weekend we headed back to the Appalachian Trail just west of Pawling, New York to do section number 4 for Jiffy Pop’s first backpacking trip. 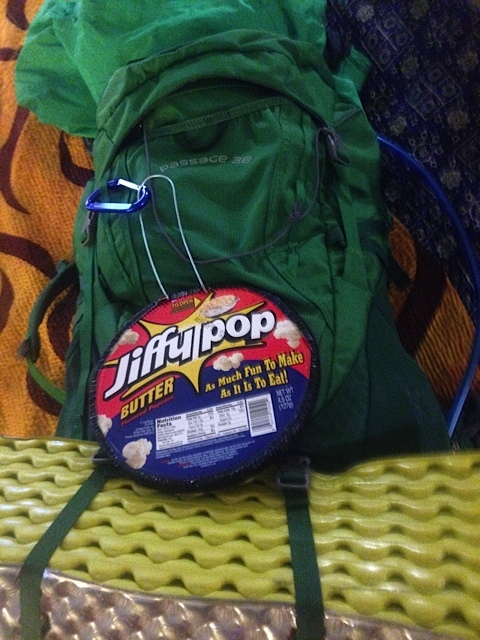 JIffy Pop, in case this is your first read of our blog, is my son’s trail name. He has taken an affinity to the stuff, and makes it on every camping trip. On this first backpacking trip he had it attached to his pack on the hike up to our campsite. He did great on this adventure! He truly enjoyed the experience and told us multiple times that he was having fun, it was awesome, even addicting. Even in Sunday morning’s downpour (which you will hear about below), he was eager to get packed up and hiking as soon as we could. Not because he was wet, but because he liked backpacking. Of course, there were some times when he, and we, were feeling tired and low energy but he got through those moments like we all do, and we pushed each other when necessary. I do think we need to take his pack in with him to the store to check the settings because it rode a bit high on him whereas his chest strap was up near his neck, even with shoulder straps and load lifters adjusted as much as possible. They probably just need to adjust the frame setting. As the backpack was a gift, we didn’t do that at the store at purchase. We set off later than usual in the afternoon on day 1, as it was hot and we only needed to cover 3.6 miles, albeit all of it uphill. We knew we could make it to the shelter campsite by evening and it worked out that way. 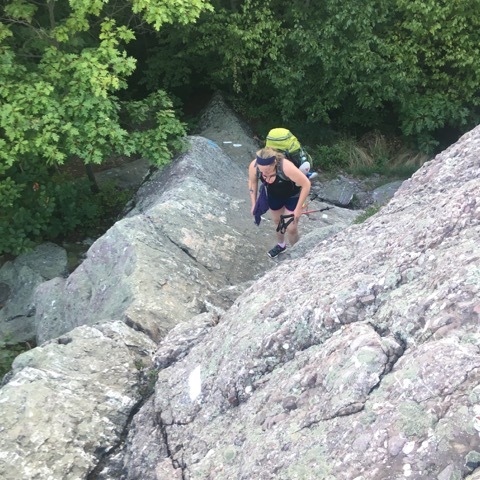 I of course also insisted we also cover the last .2 miles that we didn’t finish on the actual Appalachian Trail when doing the previous section. This is because the parking lot near the end of that section is on down a blue-blazed side trail a bit before that section actually ends. And I don’t like missing white blazes.So everyone agreed. 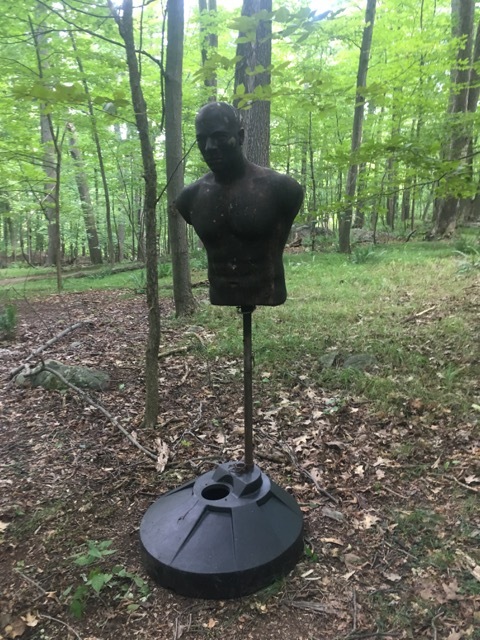 However, this short little addition went through a powerline clearing and then up a rocky hill just about right away, so everyone was of course thrilled with me in no time at all. Also, for the first time we ran into the issue of there not being a parking space at a trail parking lot. 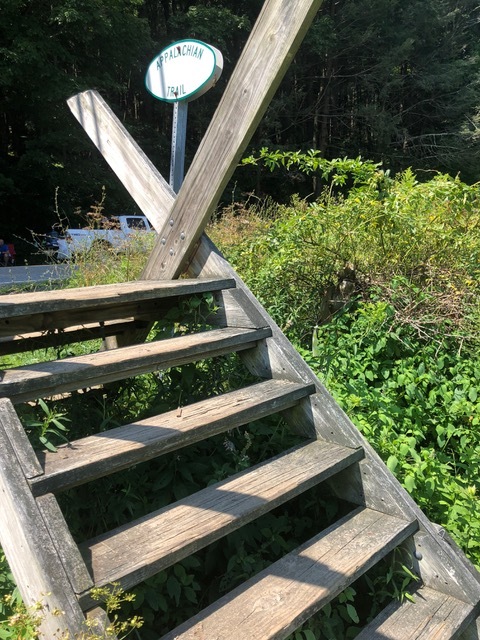 This is something I have always worried about on the drive up to a hike; it gives me a lot of anxiety. It finally happened. This is why I like getting shuttles. Besides the gas savings, a shuttle can be arranged beforehand to logistically simplify your trip. They take you to the beginning of your hike from the end point before you hit the trail, or pick you up at the end at an arranged time and drive you back to your car at the starting point. Many locals who are past hikers or friendly to hikers provide this service for just the cost of gas. 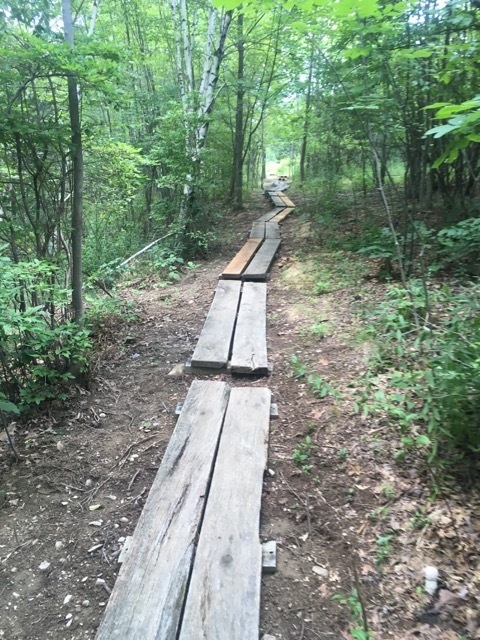 It’s their way of giving back to the trial, and meeting the current season’s hikers. 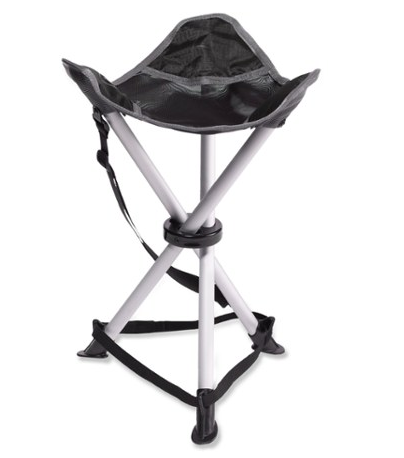 Another form of trail magic! These are often listed in the trail guide booklets or on the popular web forums like Whiteblaze. Or, you can take a cab in certain towns that are also familiar with hikers. 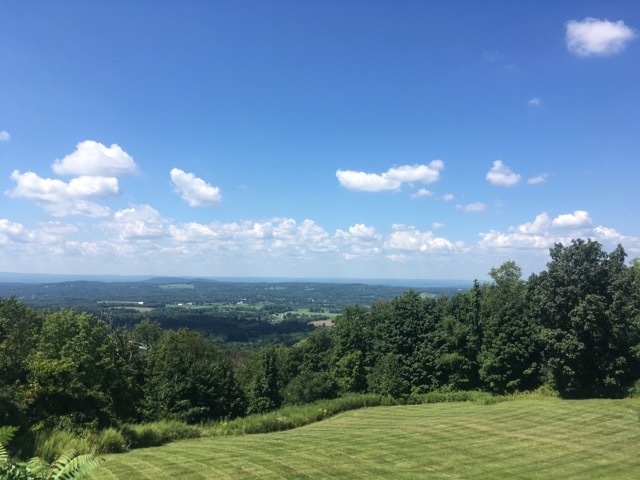 I knew the Pawling Taxi was, and they picked us UP here that time we did the previous section, but this one begins on the edge of town and I just wasn’t able to ensure they’d take us another 10 miles out of town to the other end. So we planned on two cars and dropped the first car off at the end before arriving at this lot to drop off the second, only to find no parking. The lot at route 55 was packed with cars of day hikers doing the Nuclear Lake loop. The fishing shop across the street was very nice and let us park there, but then just as we were parked there and getting ready to hit the trail, two groups of hikers came back to their cars in the hiker lot so I moved our car back over there. 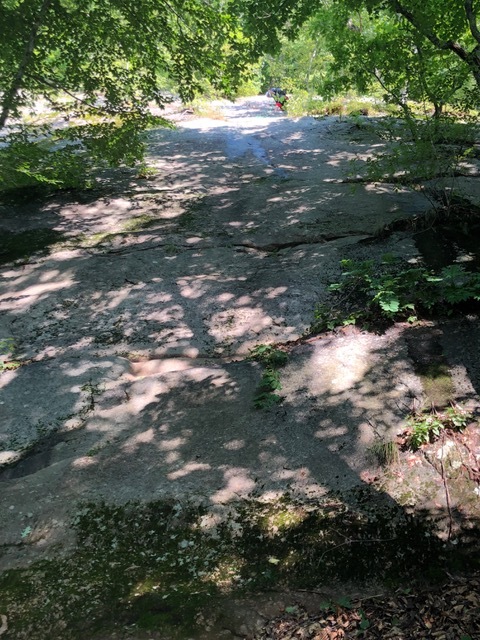 I’ve gone on day hikes with groups at popular areas and know that on a nice day a small lot is no match for large groups even when they make the effort to carpool. Unfortunately just like with shelters its first-come, first-served. There’s no special privilege for backpackers over day hikers in the lot, or thru hikers vs section hikers in the trail shelters. That one’s not a problem for us because we tent. Their generosity at the shop was very much appreciated but I felt it was better to park where I was supposed to. So that cost us a few extra minutes before we started our hike. Then it was a steady, long climb up Depot Hill to the Morgan Stewart Memorial Shelter. There were no real views on this part of the walk but it is a very nice shelter, built by the maintainer of the RPH shelter and other members of the Ralph’s Peak Hiker Cabin volunteer group. The story of its construction, and who Morgan Stewart was can be found here. 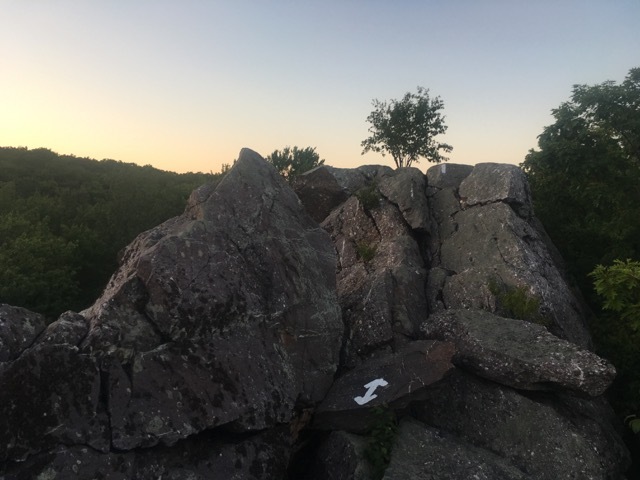 We scoped out a few tent site options and set up, and then went down to the shelter to meet the first of the thru-hikers who had already arrived, Micro and Bigfoot. The shelter has two main fire pits, one of which is a wonderfully large, concrete-lined affair where a large group could sit around the fire. There’s also a privy at the campsite and a picnic table, as well as a water pump about 450 ft downhill. We got a fire going and Jiffy Pop made some Jiffy Pop and shared it with Bigfoot and Micro. 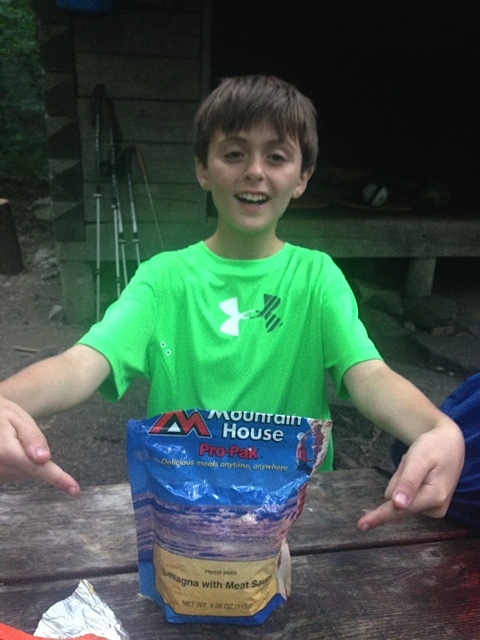 He was also eager to have his first Mountain House dehydrated meal, so we then got our stove going and made our pseudo-gourmet lasagna and spaghetti meals with just a little boiled water! 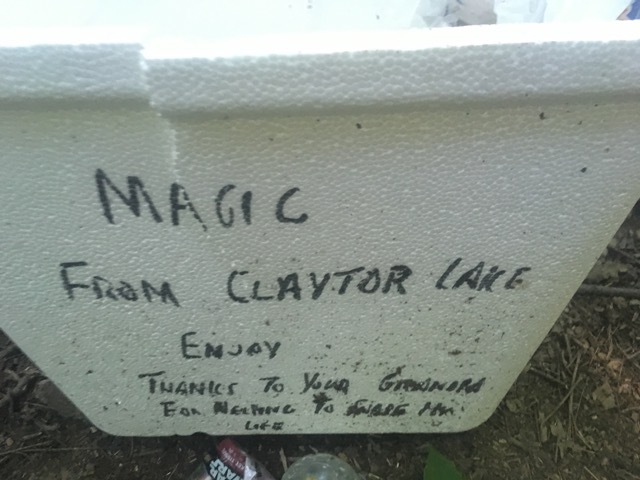 We also brought along some marshmallows, and he shared those with the thru-hikers as well, who were very happy for that treat. Several more had arrived now for the night and we shared stories with them before tucking in. The site is at about 1,285 ft and had great howling winds up sides of the ridge during the night. Still no owls, though. We knew there was potential for rain, but as you know from reading this blog I’ve let too many bunk forecasts shorten or cancel a hike. Well this time they were right and it rained heavily from about 6:30 to 830am. Not a big deal, usually. We got some more sleep and waited it out as we always do. But when it stopped and we had gotten out and dressed and had just finished boiling water for our coffee and hot cocoa, it dumped on us again. We scrambled to get our rain gear on, and then huddled under the edge of the roof of the shelter and chatted with the thru-hikers a bit while having our hot drinks until it mostly stopped raining. We ditched the plans to make the breakfast skillet Mountain House meal, and decided on granola bars — much to Jiffy Pop’s disappointment. I went down to filter enough water to get us to the other end of the section, while Fielden Stream and Jiffy Pop packed the tent. A big puddle had formed around it, and everything was covered in mud. We packed it away the best we could and got on the trail after signing the register in the shelter. Jiffy Pop wrote his first entry. That was a special moment for both of us. Not long after we departed, it stopped raining for good and we got some limited but decent views from the top of Mt. 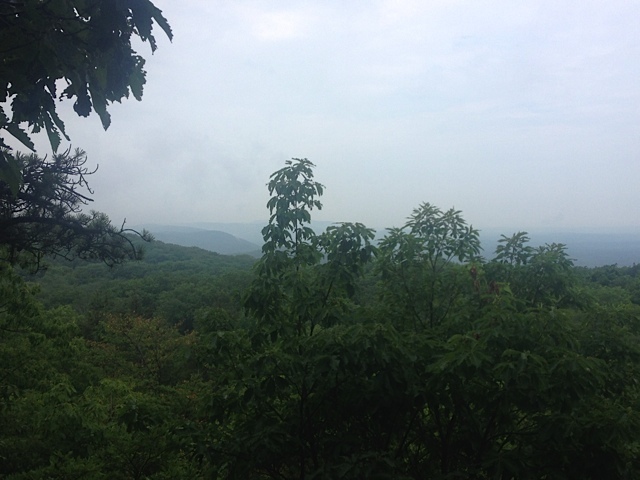 Egbert, even as far as the peaks of the Catskills in the hazy distance. Many blueberry bushes lined the rocky crags at the summit, but they were still very small and not all that tasty. 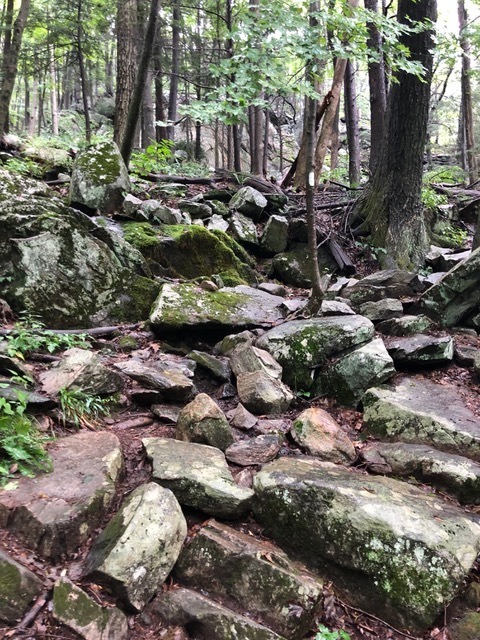 It was about a mile of these rocky knolls and scrambles along the summit ridge to start the day until we descended gradually and leveled out to mostly flat paths. 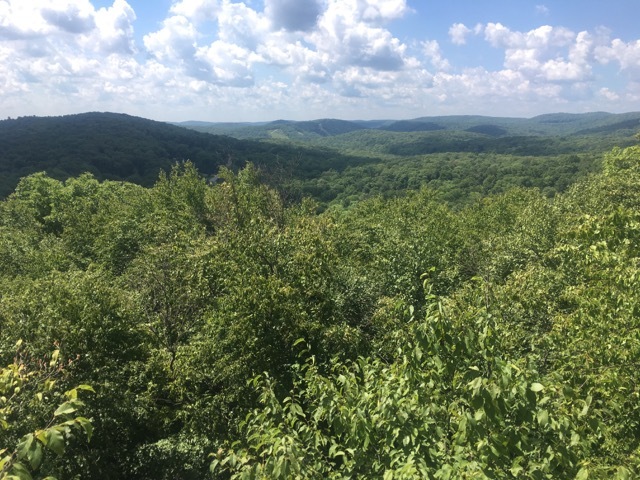 After a big descent, we crossed over Interstate 84 and did a little road walk until we headed back into the woods, and up, for one last time. 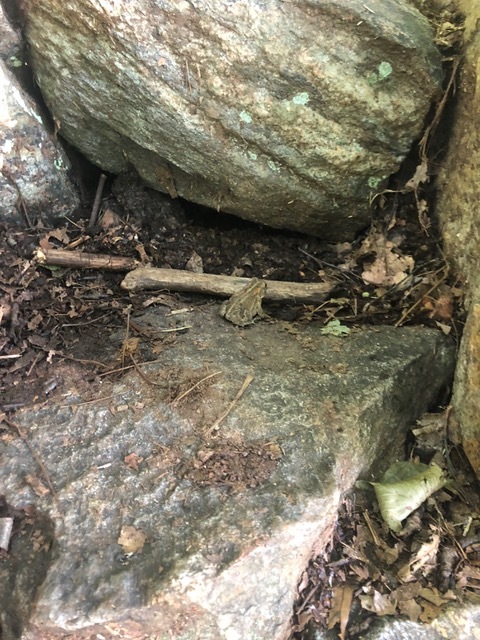 Nearby in the bushes along the trail and road edge was an arrow, like the ones I used to use in summer camp as a teenager in archery. It was exciting to pick it up for a minute and reminisce, and then wonder what it was doing there. I hope no one was aiming at hikers! Just before the end of this section we were treated to raspberry bushes everywhere along a bucolic meadow scene. There was also a massive maple tree the size of the Dover Oak alongside the trail edge, but we were too tired and hungry for a photo. There were also many beautiful wildflowers like Meadow Rue and Queen Anne’s lace, as well as a beautiful butterfly I tried to photograph but only caught mid-air. We were definitely in what’s known as ‘the bubble.’ This refers to the point where the majority of thru-hikers headed from Georgia to Maine are coming through Connecticut and New York. We passed 3-4 thru-hikers an hour, and had a nice chat with a few of them, sharing information on water resources and trail conditions. This exchange of valuable information is one of my favorite parts of trail culture. People are truly looking out for one another. As we are doing New York southbound, all the Nobo thru’s were eager to hear about conditions ahead, as were we as we headed where they had just come from. And I was glad that Jiffy Pop did get to meet them all and experience that as we had hoped. 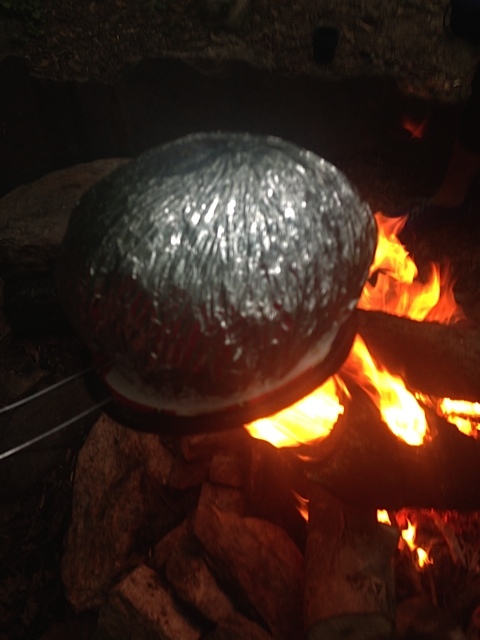 A tougher section than we anticipated, but a great first outing for Jiffy Pop. He wants to do it again. 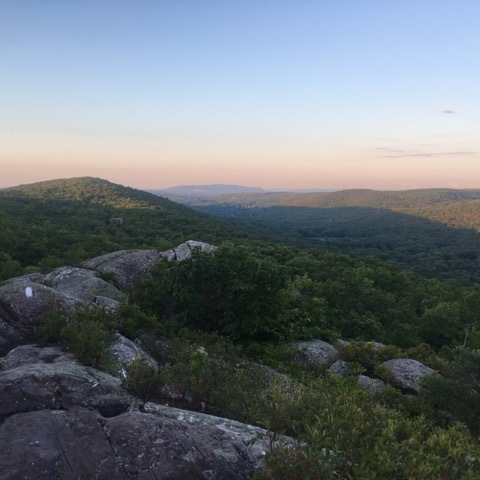 This weekend we are off to Virginia and West Virginia for a wedding, and some more hikes in Harper’s Ferry, Skyline drive/Shenandoah National Park and New River Gorge on the way . Can’t wait.